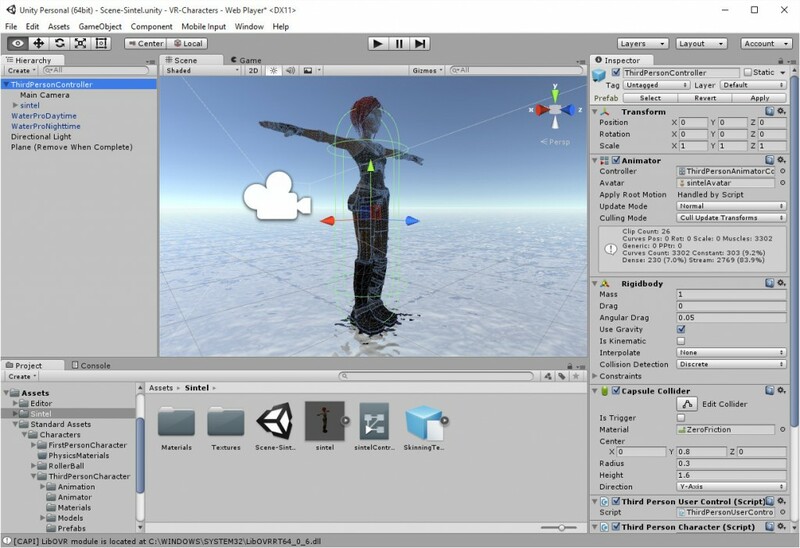 This post provides links and resources related to a number of free to use avatars that can be inserted into Unity 3D projects to provide third person views of a character able to move through a scene. The avatars, scripts, animations and other resources are provided either as open source for flexible use and/or with non-commercial use licences use. Unity 5 includes a character “Ethan” in the standard Assets at Assets/Standard Assets/Characters/ThirdPersonCharacter/Prefabs folder which can be included in a Unity scene. The “Main Camera” can be dragged inside the “ThirdPersonController” hierarchy and it is then attached to the motion of the character. See also these notes to replace the 3D model with other FBX avatar rigged meshes that are in a suitable format. 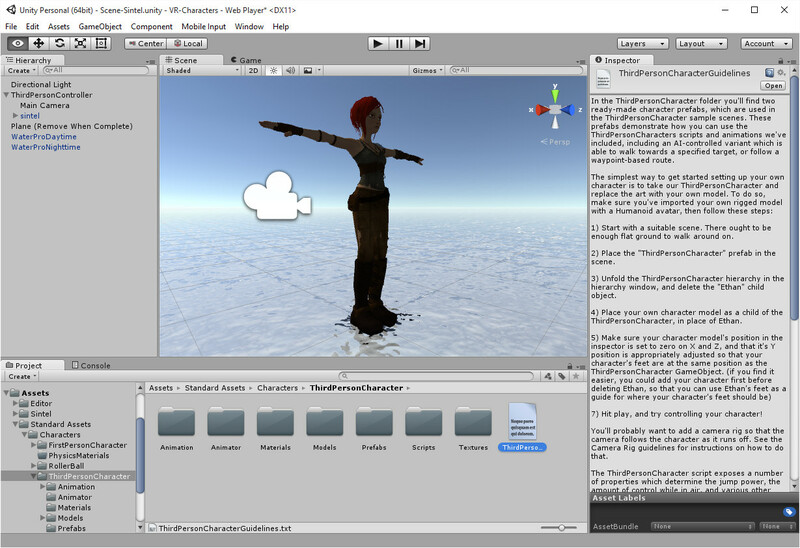 See the notes in Unity’s Assets -> Standard Assets -> Characters -> ThirdPersonCharacter folder on how to replace the Ethan character’s 3D model with other FBX avatar rigged meshes that are in a suitable format. The following blog post also covers this process. 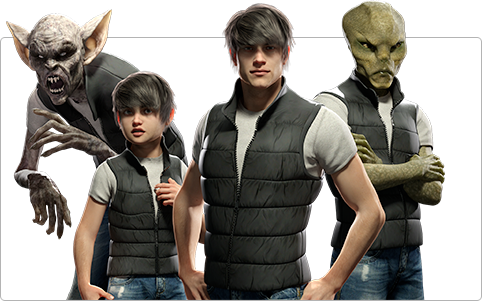 Morph3D provide Unity assets for Male and Female characters that are very adjustable. There are free (Lite) and more capable paid versions. See https://www.morph3d.com/. 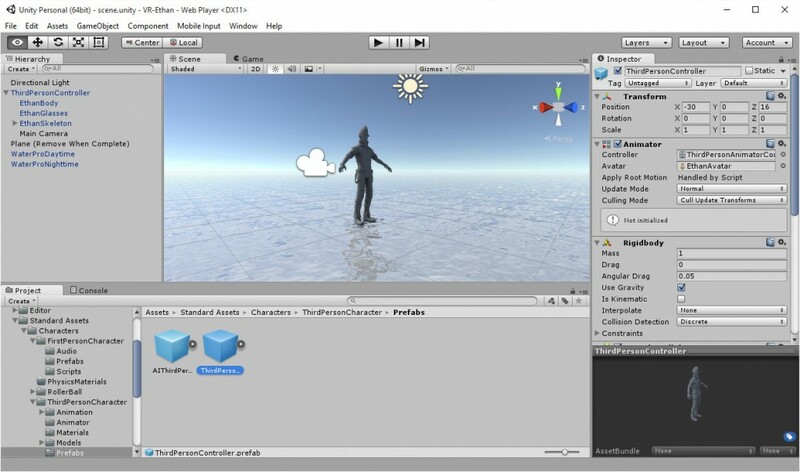 There is a Unity3D Forum thread on Morph3D. A PDF guide is available from there at Documentation. Information on a Morph3D addon content creation system is here. Umotzkan (o3n Games) has provided a helpful tutorial on using the Morph3D figures here. 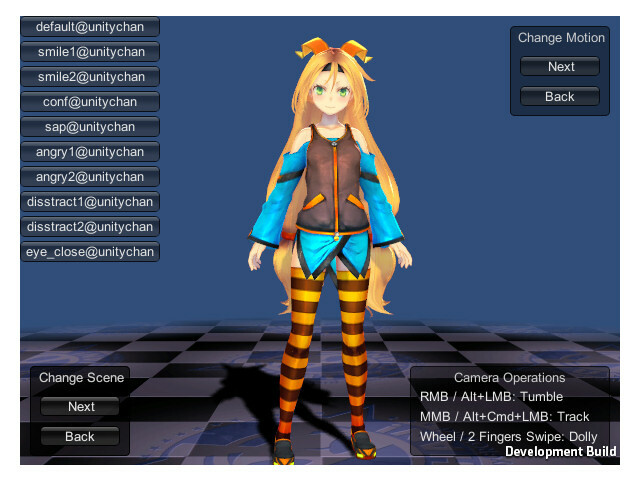 Unity-Chan – The Unity-Chan anime style character provided for non-commercial use that can be inserted into the converted Unity scene to give you an avatar to move through the scene. It is included in the Unity3D folder that is in the OpenSim OAR Converter (OARConv) distribution described in this post. A similar Japanese anime style character called “Query-Chan” is available from Pocket Queries under a Creative Commons Attribution 4.0 International License(CC-BY). 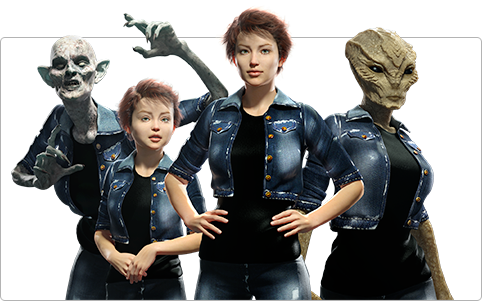 The package includes Scifi, Christmas and Halloween outfits and test scenes. 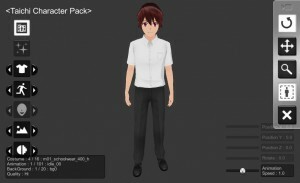 Game Asset Studio provides a free male anime-style character with a range of outfits and a very wide range of animations (including 7 .fbx sit poses). This character is available free for use in Unity projects. Some paid addons and other characters are also available from Game Asset Studio via the Unity Asset Store. Mixamo Characters, X-Bot, Y-Bot, etc. Mixamo has a number of free character models, including their “X-Bot” and Y-Bot” robot style reference characters. Search, for example, under “Characters” for “Bot“. 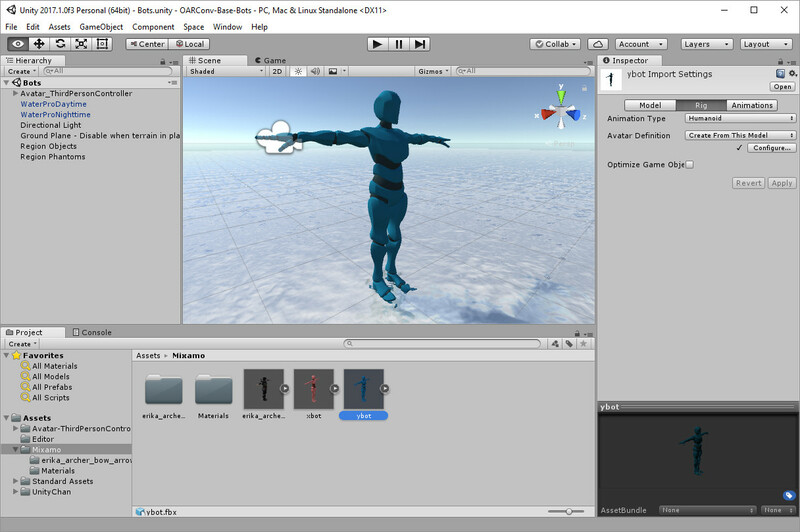 You can download those as FBX for Unity with “T-Pose”, import them as the visual model for an avatar with a suitable character controller in Unity… remembering to check the “Rig” animation type is “Humanoid”. “Generic” (the default) as the animation type for the FBX appears not to work with animators I tried. 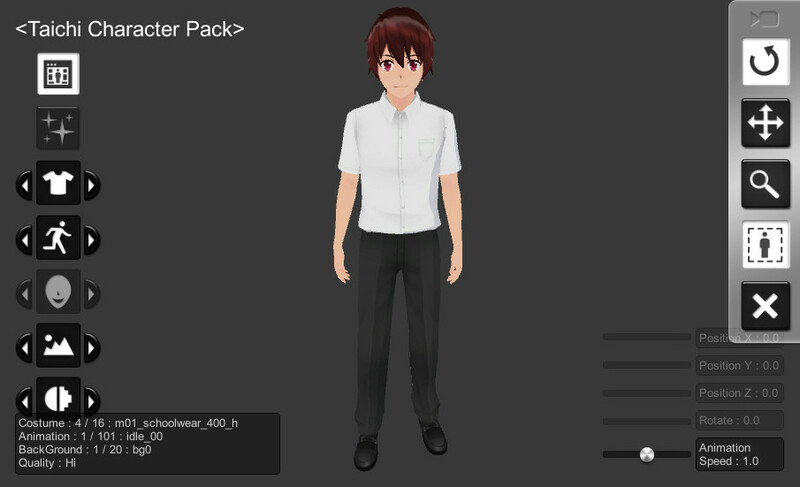 You also need to ensure that the “Animator” component of the ThirdPersonControler you use actually has it’s “Avatar” slot set to the appropriate avatar FBX you used. If the avatar sticks in T-Pose when you test it, its likely that you did not set the ThirdPersonController Animator Avatar slot correctly. This entry was posted in 3D and tagged 3D, Ethan, Morph3D, Sintel, Taichi, UMA, Unity, Unity Chan. Bookmark the permalink. 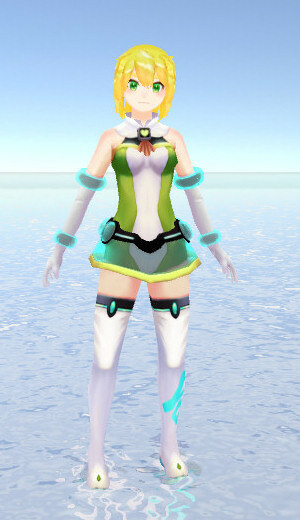 Unity Chan Candy Rock Star – a musical experience demonstration by Unity in Japan is available on GitHub at https://github.com/unity3d-jp/unitychan-crs (latest version at time of writing is 3-Apr-2015). Just grab the Zip of the distribution (unitychan-crs-master.zip) and unzip it to give the complete Unity project directory. This can be made to work with the Oculus Rift in VR using recent Unity releases (from 5.3.4p5 and Beta version 5.4.0B16 both released on 27th April 2016) with a few small changes. For virtual reality use with the Oculus Rift, in Build Settings ensure that the “Other Settings” has “Virtual Reality Supported” ticket and replace the “Graphics APIs for Windows” that may be set to “Direct3D9” (DX9) with “Direct3D11” (Just clicking “Auto Graphics API for Windows” might be sufficient too). Although that is sufficient for creating executable Windows files that will work with The Oculus Rift CV1 and DK2 using Oculus 1.3.2 onwards, the user viewpoint camera does moves about and change positions more than is comfortable in VR. 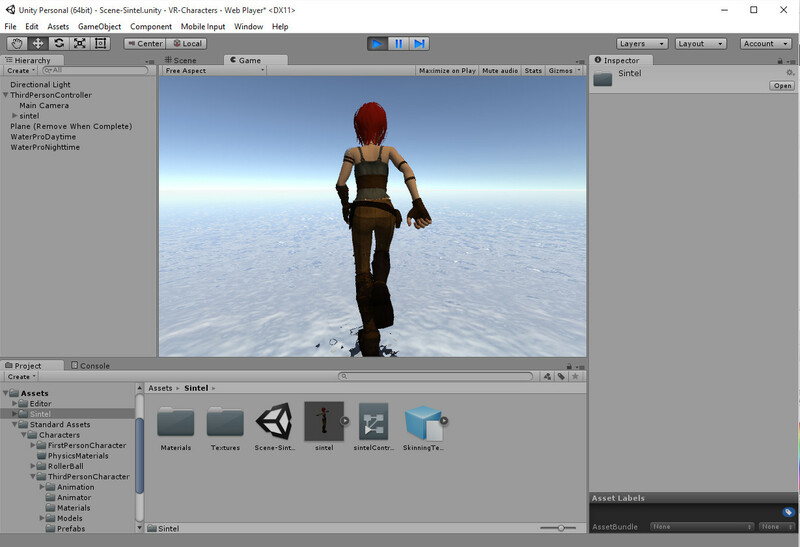 So one approach is to add a ThirdPersonController with suitable movement controls (try the Unity Chan character described in the main blog post). Attach a scene main camera within that (e.g. Oculus Utilties for Unity Assets OVR Prefabs OVRCameraRig). You will likely have to disable the Audio Listener on that (usually on the CenterEyeAnchor) as only one should be in any project. You might want to disable the visual model of the ThirdPartyController avatar, leave the capsule collider enabled and put in a ground plane just underneath the stage, so that you do not fall through under the stage. If you just see a blue image when you test this, the likely problem is that you and your viewpoint have fallen under the stage.